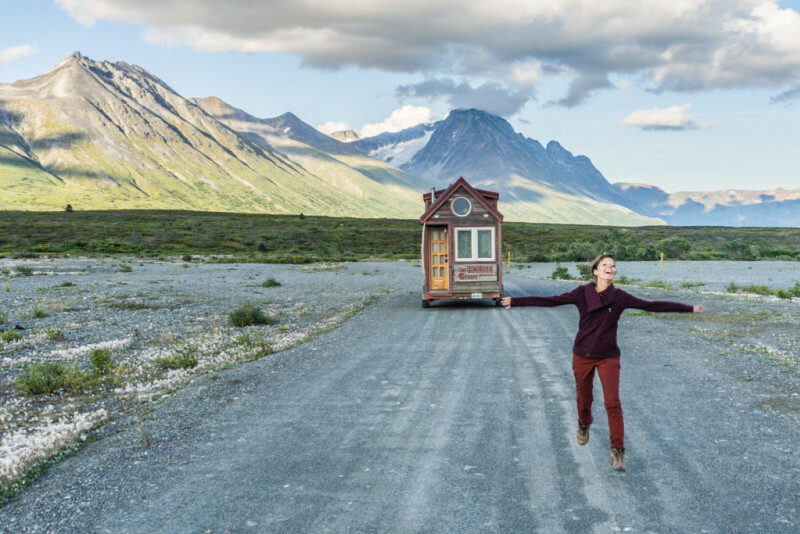 A typical tiny house will only be moved a few times in its lifetime. 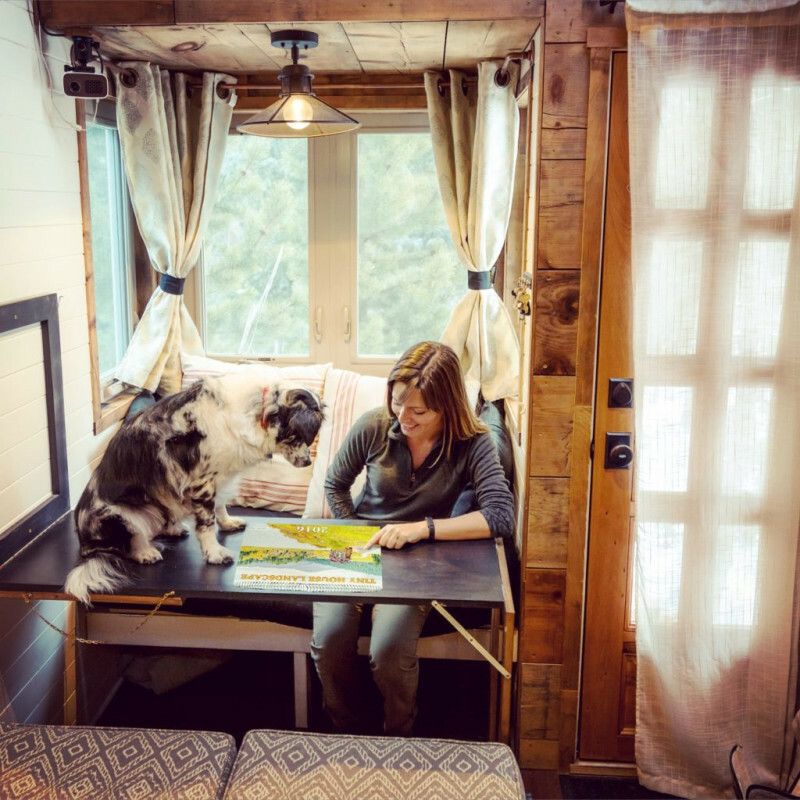 Jenna Spesard, however, built hers with the intent of hauling it more miles than even a typical RV. As such, you can then imagine how THRILLED we were to finally catch Jenna between trips and have her in the studio for this week’s interview. 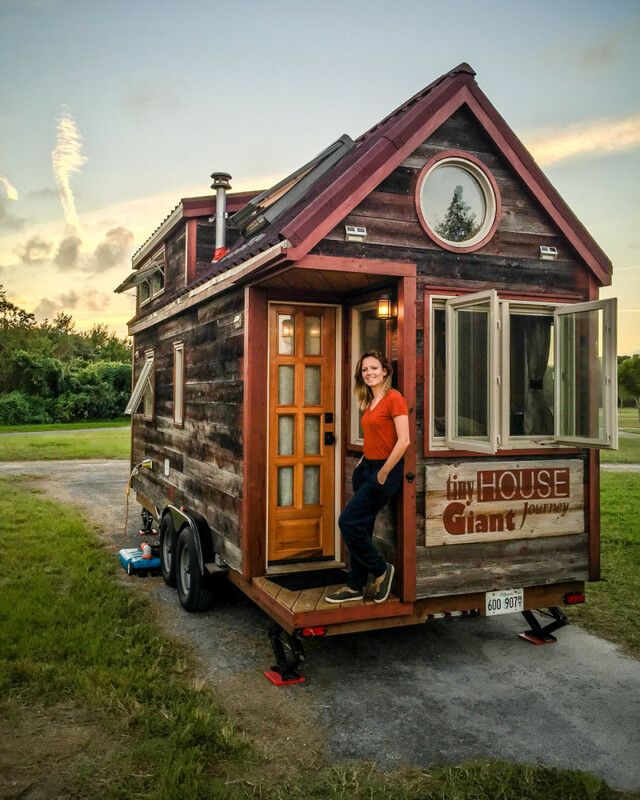 Even if her original plan started with a partner, the change in their relationship didn’t dampen her enthusiasm for tiny houses, traveling, or advocating for living simply. 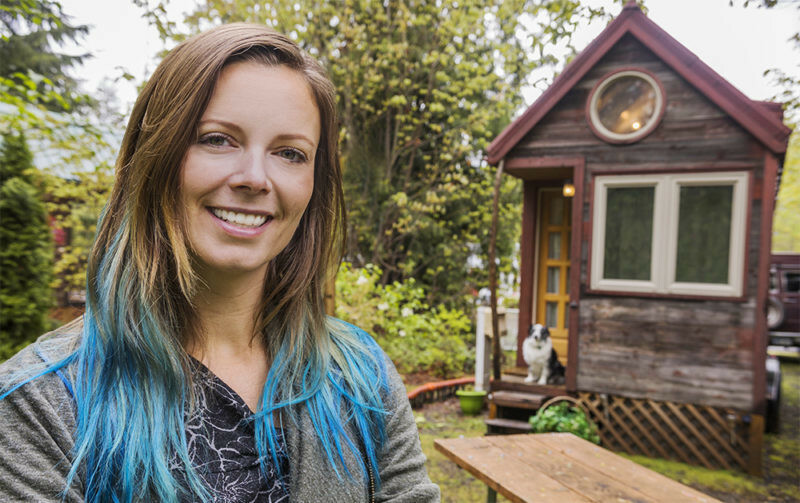 Of all the tiny house people we have chatted with, Jenna is one of the most impressive. This is a lady who knows how to not let anything get in the way of living life on her own terms. She has been from Maine, to California, to Alaska, in her tiny house; and everywhere in between. These days, while she doesn’t have her tiny house in tow, she still travels; only now her destinations include exotic foreign countries and far reaching corners of sparsely traveled back roads. This woman is brave, driven, and passionate. This tiny-yet-fierce female is truly amazing and we know you’ll enjoy listening in to hear where she’s headed next on her Giant Journey.